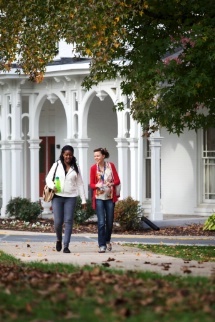 International students must maintain full-time enrollment of four (4) or more Wilson credit hours (12 credit hours on a typical non-Wilson credit system). Please check with the International Student & Scholar Services office (ISSS) if you are interested in taking pass/no-pass classes. Under certain circumstances, international students may be authorized to enroll for less than a full course of study and still be considered full-time. If you are in your first or last semester at Wilson, you might be eligible to drop below a full course of study. Students must receive approval from ISSS before reducing their course load. ISSS must review the case with the student to determine if a valid academic or medical reason exists before approving and documenting the request. Failure to speak with ISSS and receive pre-approval may jeopardize the student’s immigration status. International students should speak with ISSS staff when considering dropping a class if they are failing that class. Second semester seniors are eligible to drop below full-time enrollment with pre-approval of ISSS. This is to account for seniors who have completed most classes for graduation and have few classes left to take. If this is your first semester in an American college/university and you struggle with the necessary academic skills/language skills, you might be eligible to drop below full-time status. Discuss this with ISSS before dropping any classes. You must have prior approval. If you are incorrectly placed in class which is too difficult, you might be eligible to drop below full-time status. Again, prior permission of ISSS is required. Don't just drop the class. International students are not required to take classes during summer vacation, unless summer is the first semester of enrollment at an American university. Contact ISSS if you are considering changing majors, because your SEVIS record must be updated if you change majors. Apply for Optional Practical Training. Begin a new program of study. Change to another visa status. If you do none of the above and stay over your 60 day voluntary departure period, you will be in violation of status.